In this video, we’re going to talk about the 3rd shot drop vs the 3rd shot drive. You often here that you should always drop the 3rd shot. 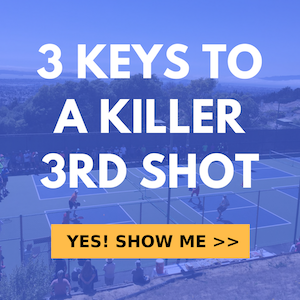 There are times when you will want to drive it and we’re seeing more and more driving of the 3rd shot in high level pickleball. Today we’re going to cover when to drive and when to drop the 3rd shot.